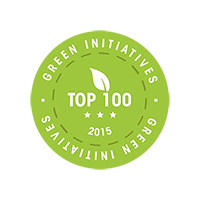 This blog is in the Top 20 Green Bloggers list from Greenmatch! The other day I had a notification from Facebook to say that this blog had been added to a list of Top 20 Green Bloggers by the green energy quote comparison site, Greenmatch. It’s great for this blog to have this recognition, as I’ve been writing about sustainability, green design and technology for a long time, and I was delighted to find the blog listed alongside so many others I respect. It’s also made me think again about whether or not I should shut down the blog now that Mimimyne, my online store for children and families, has ceased trading. I closed down the store as now I am working in digital marketing (currently for the amazing charity Teacher Support Network) I don’t have the time necessary to run an online business. But I think readers of this blog are still interested in knowing more about green technology, design and initiatives to help improve life on our planet generally, and I know I am still interested in writing about them! So I’ve decided to relaunch this blog, with a fresh new look, in 2015. I’ll be writing about things that interest me, anything from apps to recipes, with a particular interest in sustainability. I’m interested in ways to make greener lifestyles easier and more accessible for everyone.